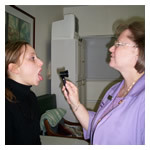 The natural health exam is a comprehensive study of the human body using observation skills from the Orient and Europe. It is a preventative approach focusing on organ system efficiency and cleansing. Its goal is to heal the internal workings of the human body rather than just treating symptoms. By improving the condition of the organs and tissues, symptoms will begin to dissipate. The natural health exam looks for imbalances prior to and during a disease state. These imbalances point the practitioner in the proper direction for healing the areas of concern. It also helps with disease prevention. These methods are considered to be a component of Naturopathology, which augments conventional medical care. Listed below are the components of a natural health exam provided at the Washington Institute. These components may vary slightly depending upon the preference of the practitioner. The Hara Study helps the practitioner evaluate trapped or low energy based on Japanese energy systems. The hara areas that are studied are located in the epigastric and gastric regions of the body. These regions are palpated by the practitioner. They will identify tightness or softness. Upon identification the practitioner will note areas that may need stimulation or release. These areas are in direct correlation with the oriental meridian systems used in Chinese and Japanese acupressure and acupuncture. Iridology is the analysis of the patterns in the iris of the eye. These patterns indicate the levels of energy within the body. This study reveals the client’s general constitution, low or trapped energy in organs, cleansing issues, and areas needing nutritional balance. “Iridology will not show or name a specific disease,” parasites, organism, or pregnancy. It does not diagnose disease. It is used as a preventative measure and aides in support of the human body. This support can be achieved with a proper nutritional program and exercise*. Tongue observation shows signs of imbalance in the oriental meridian systems. It identifies how energy is being burned in the interior systems. It also indicates how nutrients are being utilized and the need for water and fiber. Pulse reading evaluates the energy flow through the kidney, liver, heart, spleen, and lung meridians. It indicates the need for possible release of trapped energy or the need for energy stimulation on these meridians. Dampness, dryness, and odor of the skin indicate the need for energy or chi support in the filtration meridians. These observations also show where the client needs nutritional and energy support. Organs that are assessed in the face observation are: liver, gallbladder, spleen, large intestine, stomach, kidneys, lungs, and heart. Kinesiology is the study of feedback produced from the body’s energy systems. This feedback is the result of the flow of energy or chi that is sent to the muscle fibers from the interior of the body. This system studies the body’s innate energy or chi that runs to the muscles. Energy that flows through organs and tissues connect to the muscle fibers. “Kinesiology does not treat named diseases. Nor does it diagnose them. Kinesiology is concerned with imbalances in the body’s energy. In this respect, kinesiology has close links with the acupuncture concept of energy.”** Kinesiology is a “muscle monitoring” technique that is applied to identify energy “blockages within the body.” “Muscle monitoring is a natural feedback system using an indicator muscle.” This indicator muscle supplies information on the magnetic, electric, and meridian energy that flows from the peripheral body to the brain. Kinesiology bypasses the conscious mind and connects to the subconscious. At the subconscious level our body can evaluate its energy flow purely and without influence of the evaluative conscious mind. *** When a practitioner uses kinesiology, they typically will apply pressure to an extremity, usually an arm but the legs may be used. A particular muscle or muscle group will be accessed and the strength will be tested by the practitioner applying pressure to the extremity. This process helps the practitioner focus on internal energy systems that may be in need of support. The practitioner will make recommendations as to how energy balance can be achieved through natural means. There are two categories of bio-energy field testing offered at the Washington Institute: electronic bio-energy field testing and aura bio-energy field measurement. There are two forms of electronic bio-energy field testing used at the Washington Institute; one is to assess the organ system functions and the other is to test natural remedies. The organ system bio-field testing picks up electrical readings from the following organs: spleen, stomach, liver, gallbladder, kidneys, adrenal glands, thyroid, large intestines, and ovaries. This test evaluates function of the organs and helps the practitioner understand which organs need cleansing. At the Washington Institute, Victoria Goldsten performs these tests. These tests do not provide a conventional medical diagnose. Electronic bio-energy field testing picks up the bio-electric/magnetic energy of the human body and measures the milivolts the body produces. When a practitioner sees a rise in the milivolt reading it tells them that a remedy is good for the client. Practitioners find this method is better than using an educated guess, in order to see what remedy is good for a client. This form of testing is an added benefit to the client because the practitioner has already selected the appropriate remedies, for the case, based upon what they have learned historically in the Natural Health Care profession. The test is just a way to fine tune the treatment, so as to get the client better faster, and hopefully save them money and time in the process. The human body’s electric/magnetic energy responds very much like magnets. Magnets attract or repel each other and their magnetic pull works through a piece of cloth, flesh, or glass. Bio-energy field testing responds to the human body in a very similar fashion. It can pick up the magnet/electric energy from the body and also from a remedy, as a result helps the practitioner see if they have selected the proper mode of treatment. All living things including natural remedies have an electrical charge or frequency. 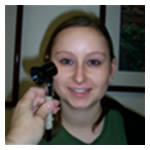 This form of test measures the size of a client’s aura prior to and during a remedy test. This form of test will inform the practitioner as to what remedy the client will need. This form of testing is an added benefit to the client because the practitioner has already selected the appropriate remedies, for the case, based upon what they have learned historically in the natural health care profession. The test is just a way to fine tune the treatment, so as to get the client better faster, and hopefully save them money and time in the process. Client history, teaching, and constitutional review are techniques used in the process of gathering information in a client interview. It is completed by way of discussing issues related to the complaints. In some cases an additional questionnaire may be given to the client to gather more information related to a homeopathic constitution. Remedy testing is completed through one of the following techniques: electronic bio-energy field testing, aura measurement, or kinesiology. Description of these techniques have been previously mentioned in this document. Each Natural Health/Holistic Exam lasts between one and ½ to two hours depending upon the severity of the complaint. An exam is individualized for each client and the components may vary slightly based upon the client’s needs and the assessment of the practitioner. The majority of the exam components are completed within the initial exam but may be completed within a follow-up exam or with an associate practitioner. Washington Institute’s practitioners work within a team format in the care of clients. Each practitioner has specific methods and specialties within Natural Health Care. Based upon the results of the studies and observation, the practitioner recommends natural substances or modalities to achieve balance. All of the studies and observations listed above are not considered to be medical diagnoses. For a medical diagnosis see your physician.